One of my favorite types of quilts are scrap quilts. Something about their miss-matched style and nothing-goes-to-waste look I find so charming and beautiful. 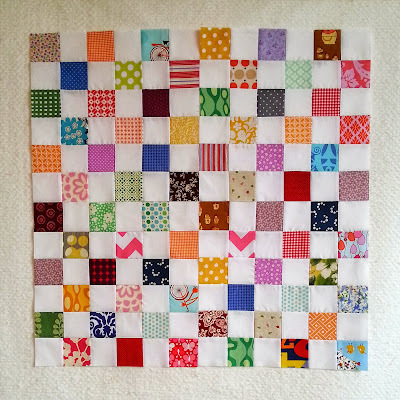 During the summer I started a scrappy postage stamp quilt ala Sunday Morning Quilts. Here is the first glimpse at it's progress. This will be one of those quilts with no real time line for completion, just an open-ended project that I can work on when I need a mental break from other projects. I love scrappy quilts too! This one is so pretty with the alternating white squares.